The Inns by the Oriental Bacolod presents 3 exclusive promos that offer discounts for a 2- to 7-night stay. Guests can get up to 50% off. 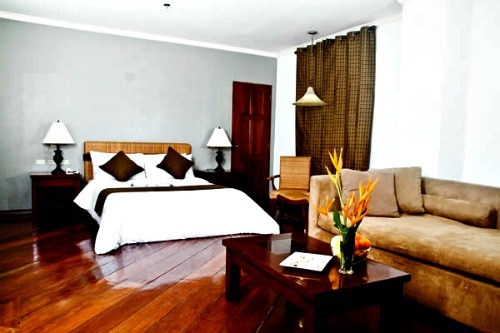 Guests can book direct and purchase these deals at bacolod.theorientalhotels.com. They just need to click on the promo banner to launch the hotel's online reservation system that is powered by DirectWithHotels. Instant confirmation is guaranteed upon settling the 10% prepayment via credit card. All transactions are secured by DigiCert and Trustwave. Promo details may change but successful bookings made prior to any adjustment will still be honored. Other terms and conditions apply. - 52 trendy and budget-friendly guestrooms that are perfect for quick naps, overnights, and even monthly stays. By default, each accommodation features comfy beds, cable TV, Wi-Fi Internet, IDD phone, and a hot and cold shower. - A strategic location in the city center near various establishments, historical sites, tourist attractions, and government offices. - The international airport, meanwhile, is about 20 minutes from the hotel.